I still working on small projects these days at the same time where i work on a good project that have two side, one is similar to booking.com and the other as groupon ;) (a post talk about this project comming soon on my blog ). This application provides a small introduction of the process of stats and do some simple calculations and then keep the record. 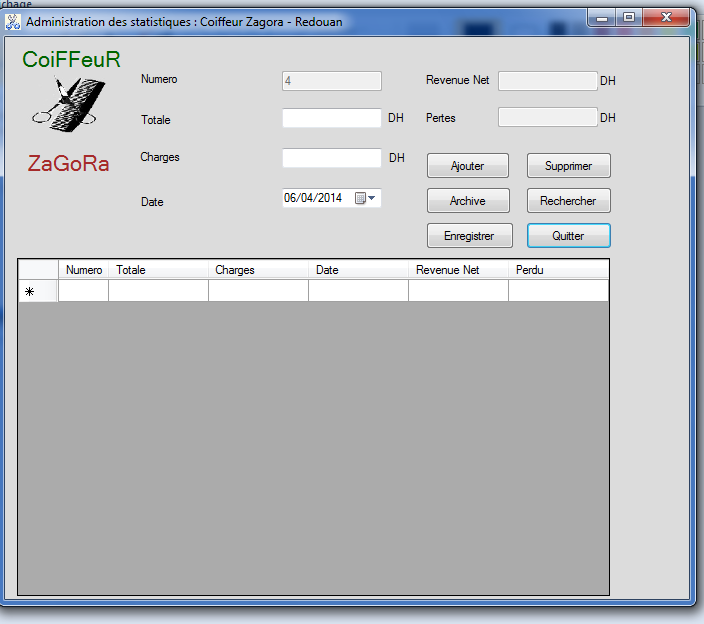 I create this program for the benefit of a friend named Radwan (a dirty hair owner named: Coiffeur Zagora). So The program is not available for download :) . 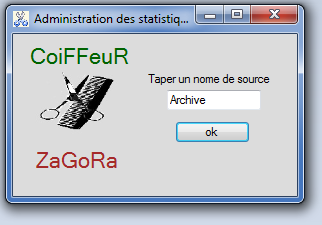 This program is slightly bigger than its predecessor, which provides information related to the process of introducing magazine and then do some calculations and keep the record in selected database with the split depending on the quality. in addition to retaining some records relating to buy, sale and others. This program is for customer , too :) .